Instantly downloadable sheet music by Jay Livingston for piano solo of EASY skill level. 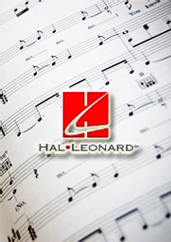 Instantly downloadable sheet music by Jay Livingston for piano solo of MEDIUM skill level. Instantly downloadable sheet music by Jay Livingston for choir and piano (SAB) of MEDIUM skill level. Instantly downloadable sheet music by Jay Livingston for orchestra (Combo) of MEDIUM skill level. Alle Notenausgaben von Stuff Like That There, Trumpet 1 part zum Herunterladen bei VirtualSheetMusic. Alle Notenausgaben von Stuff Like That There, Trumpet 2 part zum Herunterladen bei VirtualSheetMusic. Alle Notenausgaben von Stuff Like That There, Bass part zum Herunterladen bei VirtualSheetMusic. Alle Notenausgaben von Stuff Like That There, Drums part zum Herunterladen bei VirtualSheetMusic. Alle Notenausgaben von Stuff Like That There, Guitar part zum Herunterladen bei VirtualSheetMusic. Alle Notenausgaben von Stuff Like That There, Tenor Sax part zum Herunterladen bei VirtualSheetMusic. Alle Notenausgaben von Stuff Like That There, Trombone part zum Herunterladen bei VirtualSheetMusic. Instantly downloadable sheet music by Jay Livingston for voice and piano of MEDIUM skill level. Instantly downloadable sheet music by Jay Livingston for piano four hands of MEDIUM skill level. Instantly downloadable sheet music by Jay Livingston for choir and piano (TTBB) of MEDIUM skill level. Alle Notenausgaben von Bonanza, Cello part zum Herunterladen bei VirtualSheetMusic. Alle Notenausgaben von Bonanza, Full Score zum Herunterladen bei VirtualSheetMusic. Alle Notenausgaben von Bonanza, Percussion part zum Herunterladen bei VirtualSheetMusic. Alle Notenausgaben von Bonanza, Piano part zum Herunterladen bei VirtualSheetMusic.